Question: I have heard that during monsoon season we must not drink warm lemon water in the morning. Is it true? 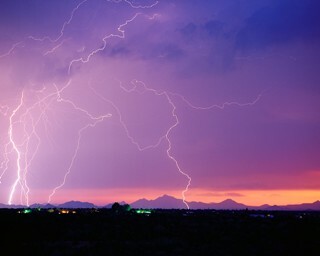 In the normally dry southwestern region of the U.S., a weaker monsoon occurs in late summer, bringing more humidity and rain accompanied by thunderstorms. But in general, the monsoon season is noted for hot, humid weather which tends to raise the body temperature and cause more sweating. So the question is what does drinking warm lemon water have to do with hot, humid, and wet weather? I don’t know the answer for sure, but I believe not drinking warm lemon water in the morning during the monsoon season is an Ayurvedic recommendation, which involves eating foods and beverages according to the seasons and body types. I am not an Ayurvedic professional, but the recommendation does make sense to me and I agree with eating and drinking according to the seasons for optimal health benefits. Thus, it doesn’t seem natural to be drinking warm lemon water during the monsoon when I think the natural inclination is to drink a cooling beverage. In addition, I believe that we get more benefits from fresh-squeezed lemon juice that is added to clean water at room temperature -- rather than hot, warm or cold. The reason for this is because the room temperature water will less likely destroy the enzymes in the lemon juice. Boiling hot water might also change the molecular structure of the lemon juice, which could diminish some of its benefits. However, when the climate is cooler, I think there are some benefits of adding lemon juice to warm water -- but preferably not boiling hot water.